This is also a great gift book for Father's Day. 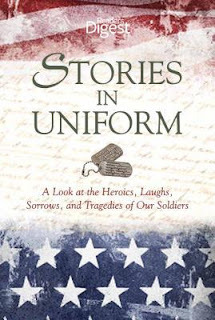 With the usual quality you'd expect from Reader's Digest, this book contains short stories about the heroics of our Soldiers. 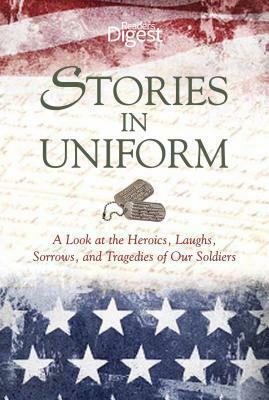 My favorite stories were the ones of the soldiers behind the scenes. The ones you don't normally hear about in the news. I thought I would find some of the stories boring, but I was especially moved by "No Medals for Joe" by Mayo Simon. I don't usually enjoy military history, but these stories touched my heart. Well written and gripping. Thanks for the recommendation. This will make a great father's day gift for the veterans in my life. Sounds like a great read. Thanks for sharing, my husband loves history. Happy Memorial Day to you and yours! I love solid reviews that are short and to the point, like this one. Sounds like quite the recommendation!